Press Release - Ministry of Finance - July 10, 2018 - The Ministry of Finance is pleased to announce that, as of midnight July 9th, the pump prices for Regular Gasoline and Kerosene decreased. Regular Gasoline declined by 13 cents per gallon at the pump in Belize City to a new price of $10.89 per gallon. 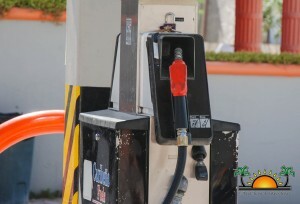 The pump price for Kerosene decreased by 43 cents per gallon in Belize City to a new price of $8.21 per gallon. The price decreases have come about because the batch of products from a recent shipment was procured by PUMA earlier last month when global oil prices were on the tail-end of a sharp decline triggered by OPEC pumping more oil to ease global supply concerns. On June 26th, the price for Diesel Oil decreased by 22 cents per gallon at the pump in Belize City, bringing the price down to $10.75 per gallon. Before that, there had been a sharp .33 cent fall in the price of Regular Gasoline that took effect on June 18, 2018. The Government of Belize expects that these decreases will be short-lived, however, as oil prices have rallied over the past two weeks due in no small part to elevating geopolitical tensions in Iran and the Middle East. The Government will continue to monitor the situation very closely and will remain engaged with PUMA and other stakeholders involved in the local supply chain to work out ways to keep prices in check as much as possible.